Trading Market Commodities: Will oil demand start to fall in ten years? Will oil demand start to fall in ten years? While other spectres (as a well-known German economist wrote) haunted Europe, since the time of the first oil crises, the United States has been obsessed with the spectre of “peak oil”: in other words, the apex of demand for oil. In 1956, geophysicist Marion King Hubbert built a model of the evolution over time of the production any physically limited resource such as fossil fuels. 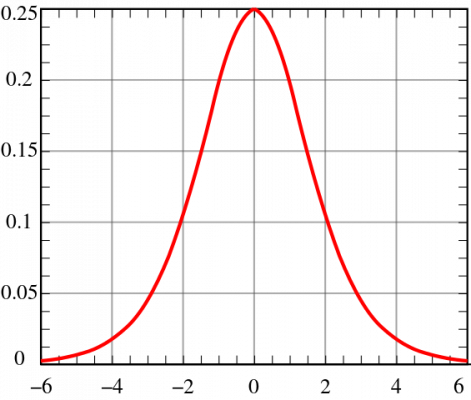 The model produced the so-called Hubbert Curve: a graph that shows the production of a resource over time which appears as a characteristic bell curve. When a resource is discovered and becomes important for some application, its exploitation grows slowly during the pioneering phase in which new areas rich in the resource, and more and more effective ways of obtaining it, are discovered. After this, the curve grows faster as a more extensive chain develops for the extraction, transformation, marketing and use of the resource. At a certain point the curve reaches a peak, much to the joy of the most imprudent investors. After this, production collapses because the places where it can be easily procured are exhausted and more and more expensive techniques are required to obtain what remains. With the collapse of volumes, the chain crashes and all the investors who had not jumped off the wagon in time are faced with big losses. Such as generalised crisis leads to the withdrawal of the resource from the market and the failure of the industries which, in the meantime, have not been re-converted. The theory was developed to predict the evolution of the coal, oil and gas markets, but it perfectly (albeit a posteriori) anticipated a number of other phenomena such as the evolution and subsequent collapse of the American bison meat trade during the conquest of the West and the whale oil used for lighting in the 1800s. Just like fossil fuels, bison and whales are – or rather, were – limited resources. The premise of the BCG analysts is that it is “almost certain” that oil demand will collapse if the price of a barrel will returns to over $100, but this is a somewhat remote possibility that has already been widely discussed. Consequently, we can set it aside and analyse the three scenarios. The first foresees a revolution in the car industry led by Tesla, General Motors and Volkswagen. All three of these companies are planning to launch electric cars at an acceptable price on the consumer market and feel confident that they can trigger a paradigm shift in the industry. Replacing cars that run on fossil fuels with electric cars will only happen if the price of individual batteries falls below $100 per kWh, but it will be essential that they can be recharged much faster and withstand much higher consumption and re-charge cycles. In this case, it is expected that by 2040, 90% of the cars in circulation in technologically advanced countries will be electric, while emerging countries will have to wait until 2050. This simulation foresees that peak oil will be reached between 2025 and 2030, and then fall by 13% (compared to the reference level) already in 2040. But let us not forget that this scenario will only evolve if the research and development of more efficient batteries will have led to at least one revolutionary technological leap in electricity storage. The second scenario assumes a global economic growth of 3% per annum in real terms and technological advances in the field of energy efficiency, based on a combination of government incentives and penalties. These could include more efficient internal combustion engines, lighter materials and more efficient techniques in vehicle production, for example, using 3D printers to make engines and interiors, thus saving materials in a way unimaginable using traditional production methods. Other contributions could come from lighter, electronic structural materials for optimum engine control, depending on required performance, but also from autonomous driving technology that optimises fuel consumption. On these assumptions, the average consumption of motor vehicles could drop to 4.3 litres per 100km (half the current average level) in rich countries and 6.3 litres per 100km in emerging markets. This would result in peak in 2026 to bring about a drop in oil demand that will reach 21% less in 2040. The third scenario imagines that the cost of gas falls below $1 for every 60 kWh produced (which corresponds to the price at the beginning of the boom in gas production from schist deposits and about half the current level). This would provide a strong incentive to replace vehicles running on liquid fuels with gas driven vehicles but, above all, it would lead to the conversion of coal-fired industrial electricity production to gas. Moreover, the petrochemical industry would be reconfigured to make the most important chemical products from ethane (a by-product of natural gas extraction) rather than oil. In addition, if the price of oil were to rise above $60 a barrel, even heavy goods transport by road and sea would quickly shift to gas. The combination of all these effects would lead to peak oil being reached in 2025, followed by a plateau that would fall by just 8% by 2040, always with reference to the reference level. Each of the scenarios envisages reaching a peak, but if more than one of them were to occur simultaneously, the probability of an actual fall in demand for hydrocarbons would become an increasingly concrete. This does not mean that oil will disappear overnight, but rather a slow decline: even if all three of these scenarios occur, in 2040, 80 million barrels of oil per day would still be required (compared to the 92 million consumed today). If the fall were evenly distributed across all energy companies, it would mean that, in 2040, Eni would still need to produce 1.6 million barrels a day to meet a demand that today is met by a output of 1.8 million barrels. In any case, energy companies will have to consider these possible scenarios because, even if they turns out to be unrealistic, it doesn’t mean that peak oil will never be reached, but merely that it will come a bit later. Consequently, each company has to re-examine its business model to adapt to variations in the scenario, maximise the competitiveness of their resources and infrastructure to improve efficiency through better management tools, technologies and digital solutions. Even in the medium term it will pay off to diversify portfolios by favouring gas over oil and coal, given that the former will remain in an expanding market when the latter two have already passed their respective peaks and will be in full decline. Diversifying the portfolio will mean, first of all, investing more intensively from today in the energy of tomorrow: renewables already have ample room for improvement and those who have invested most in the research and development of new green energy will find themselves in a competitive advantage tomorrow. These analyses completely disregard the environmental aspects. But the mitigation of climate change will become a driving force for the re-launch of not only the most responsible energy companies, but also of those less sensitive to environmental issues because of the (or better, “thanks to”) the actions that governments will take to stimulate environmental protection, driven, in turn, by the pressures of public opinion that keeps them in power. Such phenomena are likely to be the cause of profound transformations to which the “characteristically slow to change“ hydrocarbon industry – but also governments and investors – must be able to adapt. All of the players will need to bear in mind that a range market trends will contribute to determining the increasingly concrete prospect of a fall in oil demand. Looking at our situation, Eni is investing heavily in renewables and environmental protection, and this – as well as being good for the climate – can offer a future competitive advantage for Italy and its flagship company.